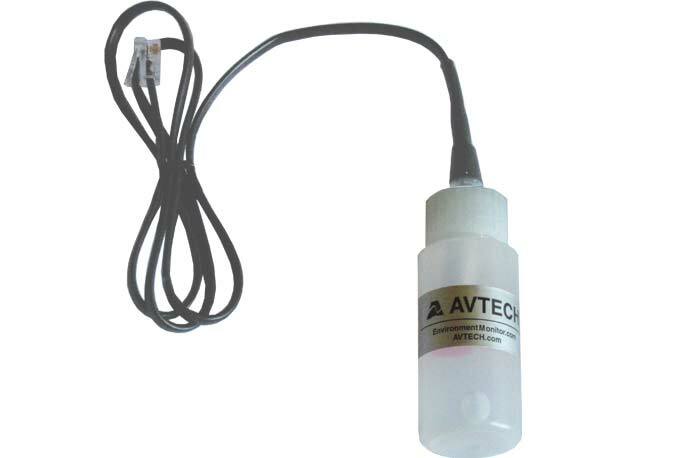 Monitor fluid temperature with AVTECH’s Digital Fluid Temperature Sensor. 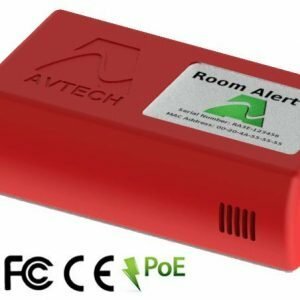 This sensor provides real-time temperature values from -67 to 257 degrees Fahrenheit and/or -55 to 125 degrees Celsius when used with any Room Alert environment monitoring decive. Accuracy is within +/- 2 C degrees. 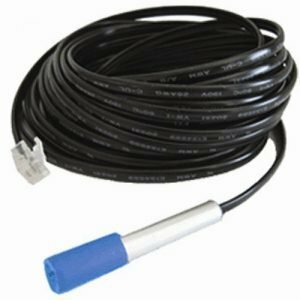 It’s special sealed tube containing Propylene Glycol makes it an ideal sensor to monitor refrigerated items, tracking their temperature instead of the surrounding air temperature. 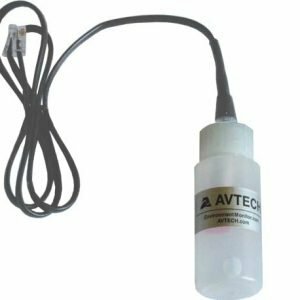 Each AVTECH Digital Liquid Temperature Sensor provides real-time temperature values from -67 to 257 degrees Fahrenheit and/or -55 to 125 degrees Celsius. Accuracy is within + / – 2 C degrees. Each temperature probe is encased in a sealed tube containing Propylene Glycol. Propylene Glycol is a colorless liquid with extremely low freezing and high boiling points. Its non-conductive nature makes it a perfect sensor for monitoring the temperature of fluids in extreme environments such as labs that monitor vaccines, plasma, IV bags and/or other specimens, aquariums, refrigeration devices or other locations where fluid temperature must be monitored and/or regulated.